Fantastic news, Harry Tanfield has been signed by World Tour Team, Katusha Alpecin. It’s hard to believe that the Cyclo-Cross season is almost upon us but the first events take place in early September. CWCC are once again organising a race day at the Middlesbrough Sports Village as part of the CXNE series. This year it will be on Sunday, 14 October. 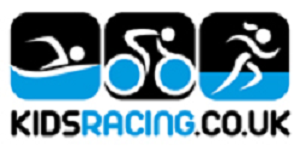 There’s more information on the website under Competition/Cyclo-Cross. The first regional Road Race in County Durham for 20 years takes place on Saturday 4th August 2018 near Barnard Castle. This will also be the first event in the North East to use Accredited Marshals to control traffic. We urgently need to train 10 Accredited Marshals for this first event. The North East AMS course is on Monday 16th July at 6:00pm at the Chester-le-Street, Riverside Leisure Complex, DH3 3SJ. Enrolment is via the British Cycling website. The course is free, and is a combination of online learning and one evening of practical training. (Enrolment closes Thursday 12th July.). Free British Cycling Bronze membership is available to non-BC members. 60% of road races across England now use Accredited Marshals who have been trained to use the “Stop! Cycle Race” sign, to legally stop and hold traffic, making road races safer for everyone involved; riders, the race convoy and other road users. Come and be part of the team securing the future of Road Racing in the North East. Contact: Andy Cosgrove – andycosgrove@britishcycling.org.uk / 07940 302065 for more information. Today’s CWCC 18 Mile TT was won by GTR – Return To Life’s Chris Smart in a very good time of 38:26. Nice to see former Wheeler Chris return to his home patch to claim a well-deserved victory, 15 seconds ahead of last year’s winner, Philip Graves. The race also featured very good showings by CWCC’s Juniors & Juveniles, Ross & Aaron finishing just 3 seconds apart in 6th & 7th respectively. A full photo gallery will be available on Monday. Congratulations from all at Cleveland Wheelers to Charlie Tanfield, winner of a Silver medal in the 2018 Commonwealth Games Team Pursuit and GOLD MEDAL in the Individual Pursuit. It’s been an amazing year for Charlie, and a proud one for his parents, brothers, and all here at CWCC. Where next for the Tanfields?